ISC West is a big tradeshow. Be sure to plan out the booths you’d like to visit in advance and be on the lookout for new and exciting technologies. Next, when viewing in-booth demos, ask if you’re looking at live or pre-recorded footage, as this will be especially important when it comes to video analytics. The education program at ISC West is full of great content, carefully select the sessions you would like to attend. Lastly, don’t forget to sign up for the Security 5K! It’s for a great cause; all proceeds generated by the race will be donated to Mission 500. While attendees have the opportunity to peruse the floor at their leisure, the best way to get the most out a show like ISC is to seek out companies that are pushing the envelope with regards to introducing disruptive technologies to the market, including artificial intelligence-based software, advanced analytics, robotics and drones, and integrated tech. For an innovative security tech startup, ISC West serves as the best platform by which to introduce the latest solutions a company has to offer, giving security professionals a front-row seat to history being made. Additionally, it's important for attendees to balance their time on the floor with the time spent learning from industry leaders on panels and lectures through the Education@ISC sessions, where they will be exposed to some of the greatest minds in the industry sharing ideas that we might see come to fruition in the future! ISC West brings together the security industry’s leading experts and allows me the opportunity to network with industry peers, learn about new and emerging security trends and showcase our latest products and solutions. With roughly 1,000 exhibitors registered this year, I always allot time to explore the show floor to discover the diverse range of products, technologies and services represented across the cyber and physical security landscapes. Beyond booth exhibitions, company participation in business development sessions and thought leadership panels provide a forum to discuss important areas of focus such as gun detection technologies, future looking technologies for smart buildings and the use of virtual reality for immersive emergency training preparedness. 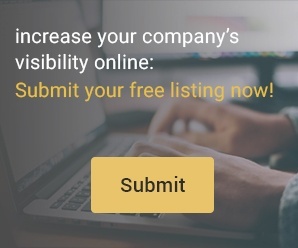 These forums are not only beneficial to industry leaders but are valuable resources to customers. The most important thing for attendees to do before arriving at a big trade show is to prepare. Trade shows have a lot happening at once, so it can be easy to miss something you were hoping to see if you don’t plan for it. 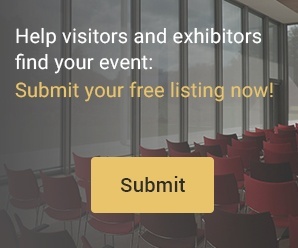 There’s a lot of information available ahead of time, so researching exhibitors or presentations is the only way to ensure that you will get to the booths that are related to your interests. It is necessary to be selective and decisive to be sure you get the most out of your experience. At events like ISC West, attendees and exhibitors get a chance to see what trends are really driving the market. For example, at last year’s event, talk centered around the fact that convergence and system and device compatibility are finally a reality. This year, we expect Big Data, artificial intelligence, analytics and enhanced integration to be significant trends on the show floor. But whether it is ISC or Securex, we find that these events enable leaders to see the future of the industry in one place, provide great opportunities for networking and enable us as an exhibitor to meet with our customers and partners at the same event. We feel that these events are critical to the future of the market and encourage attendees to plan out their days in advance to meet their goals. ISC West is a fantastic opportunity for security professionals to connect directly with colleagues and partners to share best practices on technology deployments and discuss how they address today’s most complex challenges. But it also provides leaders with a chance to view emerging technologies in one place. The market is changing at a rapid rate and events like ISC, IFSEC, Essen and ASIS deliver significant value in providing education, networking and technology demonstrations in one place at a single time, which enables attendees to maximise their efficiencies and reduce travel costs. Plan ahead to get the most out of ISC West (or any trade show). Good advice, but how many attendees actually do it? For all ISC West has to offer, it falls on each attendee to maximize the value of the show for them – to establish their goals beforehand and to customize the show experience to their own specific needs. And while planning will make for a better show overall, it can also be the unplanned moments that provide unexpected value. In addition to planning, therefore, an ISC West attendee should also be prepared for some surprises.